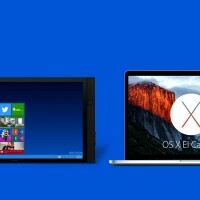 Home » News » What Is OS X El Capitan? Today we will finally dive into what everyone has been talking about the past few months. Apple’s fresh OS known as OS X El Capitan or in geek terms, OS X 10.11. What is OS X El Capitan? Is it for me? Should I upgrade from my OS X El Yosemite?. Below we will explore all of this and much more, lets begin. 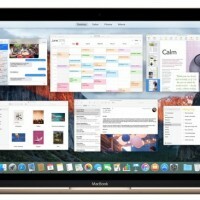 What Makes OS X El Capitan A Great Operating System? 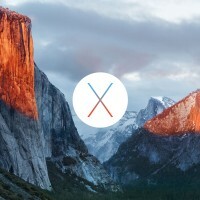 OS X El Capitan (version 10.11) is the upcoming twelfth major release of OS X, Apple’s desktop and server operating system for Macintosh computers. 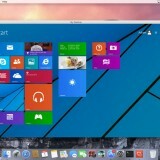 It is the successor to OS X 10.10 Yosemite. The first beta of OS X El Capitan was released to developers shortly following the 2015 WWDC keynote. 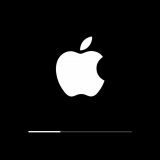 OS X El Capitan is an update that focuses mainly on performance, stability, and security. Following the California landmark-based naming scheme introduced with OS X Mavericks, El Capitan was named after a rock formation in Yosemite National Park. 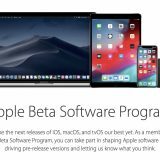 Shortly afterward, Apple released a developer beta of OS X El Capitan to developers and announced a public beta release scheduled for July 2015. OS X El Capitan was announced to be available to end users in the fall of 2015 as a free upgrade through the Mac App Store. 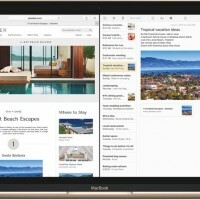 OS X El Capitan introduces Split View, support for snapping two windows side by side by clicking and holding on the full screen button in a window and dragging it to the left or right side of the screen, similar to the snap-assist feature in Windows 7 (and later) and several Linux desktop environments, such as GNOME. After the user has done this, the software suggests other relevant apps to snap onto the other side based on the first application that was snapped onto the opposite side. El Capitan also improves Mission Control to incorporate the snap-assist feature across multiple spaces, Spotlight to deliver more efficient results for weather, sports, stocks, web video, and transit information. El Capitan also comes with a tiny feature called ‘call out your cursor’ which enables users to spot the cursor easily by shaking the mouse or shaking finger back and forth on the trackpad. 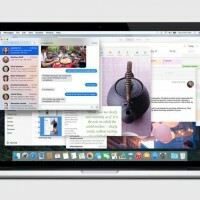 OS X El Capitan adds multi-touch gestures to Mail that allow users to delete or mark emails by swiping their fingers on a multi-touch device, such as a trackpad. OS X also analyses the contents of individual emails and can use the gathered information in other applications. For example, an invitation in Mail can automatically be added as a Calendar event. Apple Maps in El Capitan receive public transit directions similar to Maps in iOS 9. This feature will be limited to a handful of cities upon launch: Baltimore, Berlin, Chicago, London, Los Angeles, Mexico City, New York City, Paris, Philadelphia, San Francisco, Shanghai, Toronto, and Washington D.C. The Notes application receives an overhaul, similar to Notes in iOS 9. 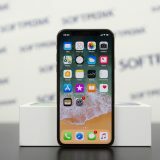 Both applications will have more powerful text-processing capabilities, such as to-do lists (like in the Reminders application), inline webpage previews, photos and videos, digital sketches, map locations, and other documents and media types. Notes will replace traditional IMAP-based syncing with iCloud, which offers better end-to-end encryption and faster syncing. Spotlight is improved with more contextual information such as the weather, stocks, news and sports scores. It will also be able to process queries in natural language. For example, users can say “Show me pictures that I took in Yosemite National Park in July 2014” and Spotlight will use that request to bring up the corresponding info. 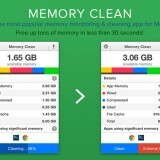 El Capitan also improves performance of many tasks. 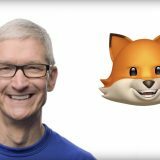 Apple states that opening PDFs are 4x faster, viewing messages in Mail is 2x faster, app switching is 2x faster, and launching apps is 1.4x faster than in OS X Yosemite. 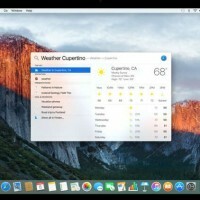 OS X El Capitan will support the graphics and compute API Metal, after its introduction in iOS 8, along with many performance and speed improvements compared to OS X Yosemite. 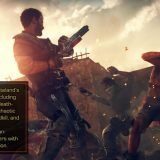 While similar to Metal on iOS, Metal on OS X will take advantage of the extra performance capabilities of Macs to deliver fast performance in games and professional applications. The overall speed of OS X El Capitan has been greatly improved from that seen in OS X Yosemite. OS X El Capitan will have a new security feature called System Integrity Protection which protects certain system processes, files and folders from being modified or tampered with by other processes, even when executed by the root user. 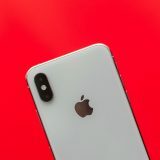 Apple says that the root user can be a significant risk factor to the system’s security, especially on systems with a single user account on which the user is the de facto administrator. System Integrity Protection is enabled by default, but can be disabled. 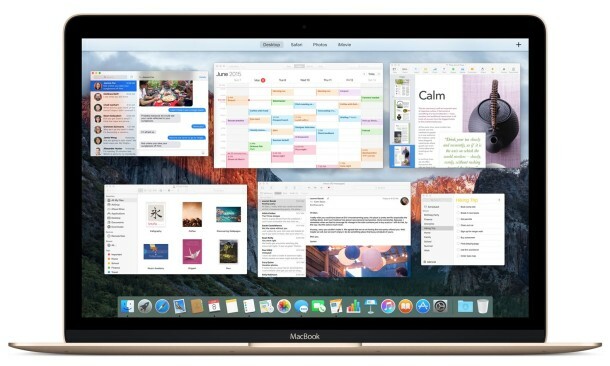 All Macintosh products capable of running OS X Yosemite are supported by El Capitan, which includes all models supported by OS X Mavericks and most models supported by its predecessor OS X Mountain Lion. However, not all features are available for each model. 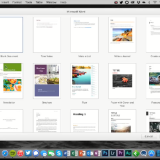 Apple notes that Metal is available on “all Macs since 2012”. 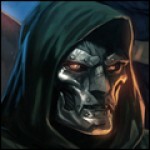 It is speculated that the GPU must at least support OpenGL 4.3. 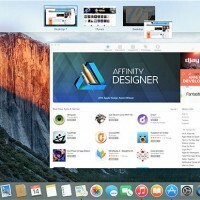 Apple’s Post Of The Day: What Is OS X Yosemite? Previous story What Is OS X Yosemite?